The Cannibal wheel has been around almost as long as Venom. 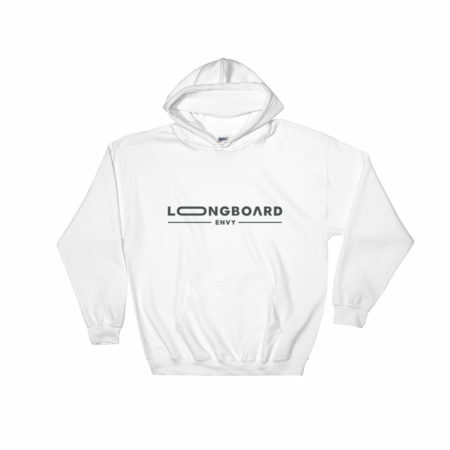 It’s gone through multiple revisions, variations and special editions and countless hours of research and testing. 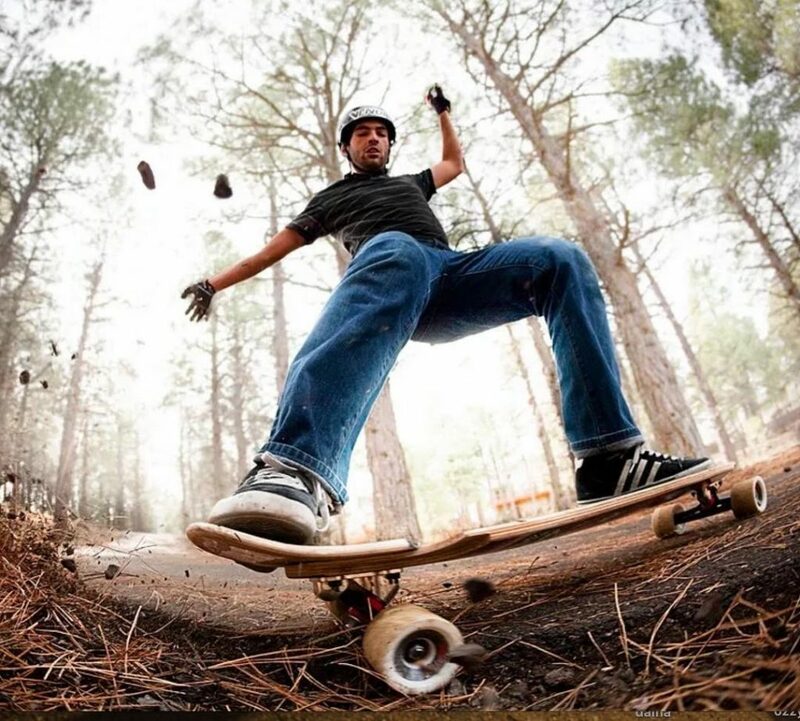 While we’ve been familiar with the Cannibal for a long time, the history of the wheel is one of the more interesting ones in the downhill scene and seeing it all laid out really highlights that fact. 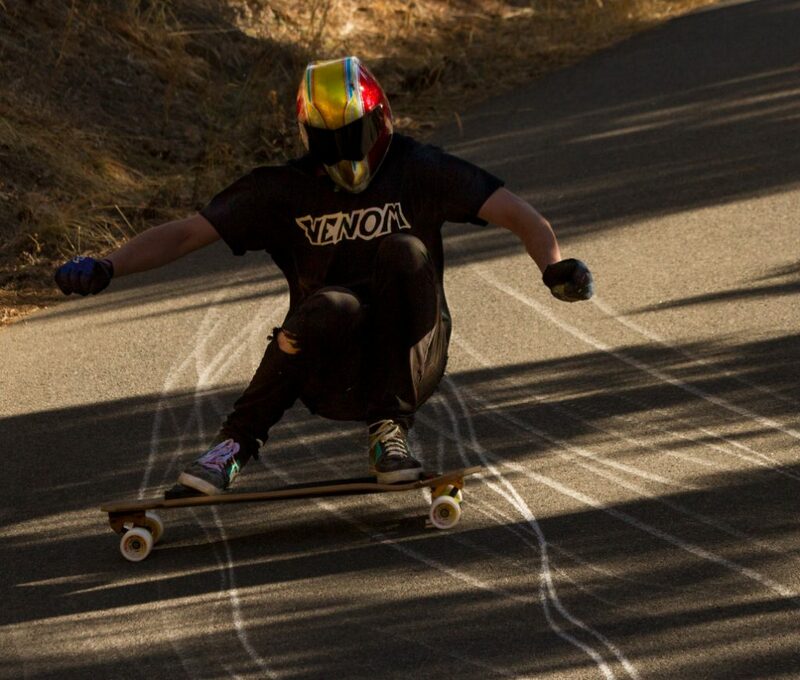 The Venom Downhill wheel line actually all started with Zak Maytum hand-pouring urethane wheels in his Dad’s garage. At the time, he was very successful in hand-pouring bushings, but his main goal was wheels. This birthed a 70mm lipped wheel he called the Black Mamba. There were only a handful of these ever made, and they were never sold or out for production. This was 2008 ~. Zak played with urethane formulas for ages with the Black Mamba wheel, until he found something he was super happy with. From there, he actually engineered the two urethane parts in barrels, threw ’em in a truck, and drove these barrels full of unmixed urethane to the big wheel factory in California (AEND). AEND took Zak’s urethane and poured him a bunch of prototype wheels in a 70mm shape that Zak designed. The prototypes turned out incredible! Super super durable, very fast, and very grippy. You can find Billy Bones riding a set of these first prototypes, on Myaryhill, on the front cover of the very first issue of Skateslate Magazine. Zak went full tilt with production of this new wheel – the Venom Shocker. It was Red, 70 tall x 56mm wide and featured a simple white graphic. For Silverfish users, the Shocker was one of the first and most notable memories of Venom’s beginning. We had all watched Zak bomb some of the fastest runs out there and everyone wanted a chance to ride what he was making. Unfortunately, when trying to recreate Zak’s hand-made formula for full-scale production, the wheel factory did a poor job, and the wheels turned out terribly. Super super good slide, but some of the slowest wheels ever produced. This was 2009. That didn’t stop Zak. 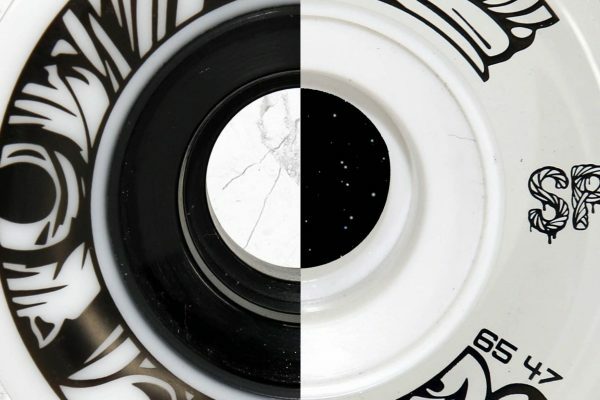 In the Spring of 2010, the Cannibal was born – Venom’s proprietary downhill wheel, with a decent contact patch, sharp lips, and reboundy urethane. This is where the saga begins. After (sic) a certain Venom Shocker failure, Zak and the wheel factory had to continue modifying his formula until they figured something that still rode really well, but could also be mass-produced. The goal was to make a wheel that could compete with the speed and grip of an Abec 11 Zig Zag, but would slide smoother. Thus the 72mm Venom Cannibal was born in Spring 2010. 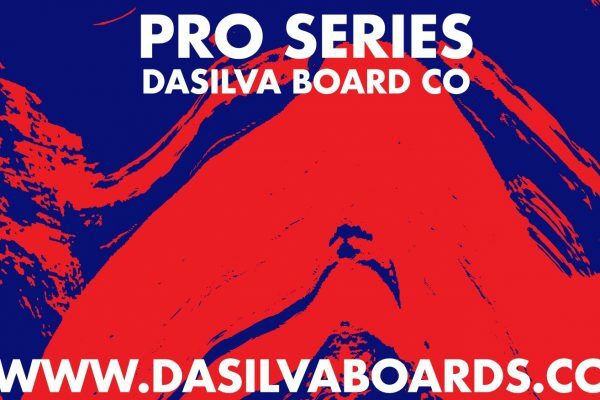 72mm x 58mm, available in 80a red with black core and 83a blue with black core. These things were VERY durable, slid incredibly well, and had decent grip and roll speed for racing. 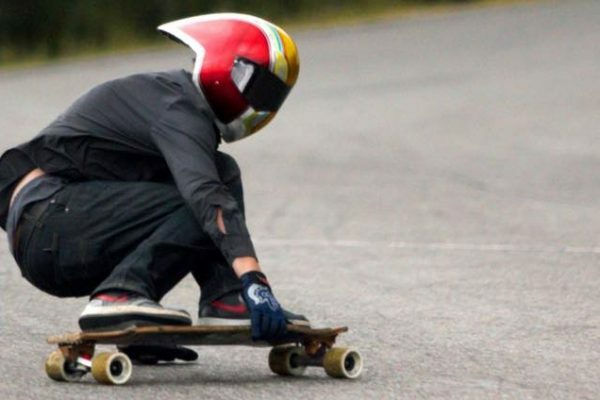 From there, Zak was still looking for more grip, and more slow down power. 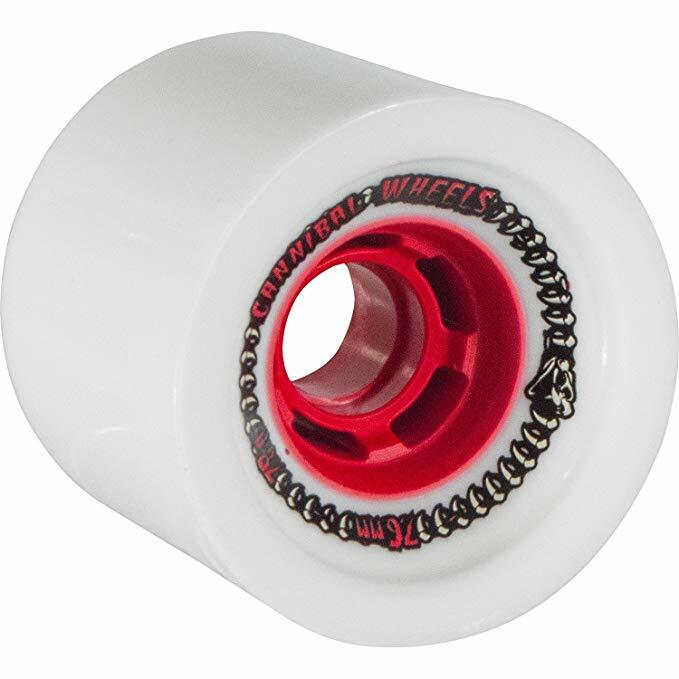 In November of 2010, the white 72mm 78a Cannibal that we all know and love became available. 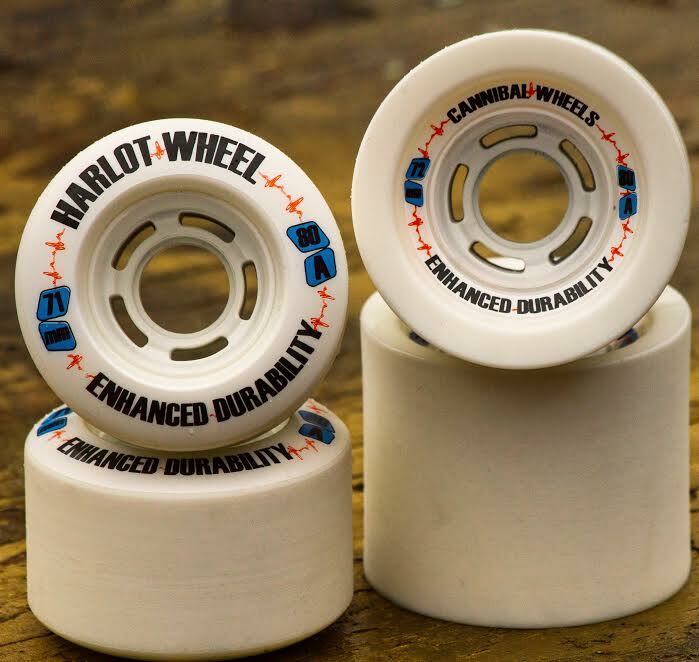 The 78a Cannibal was easily the best-sliding lipped wheel on the market – it had great roll speed and grip. It immediately became Venom’s flagship wheel, being put up on podiums across the globe pretty much immediately. 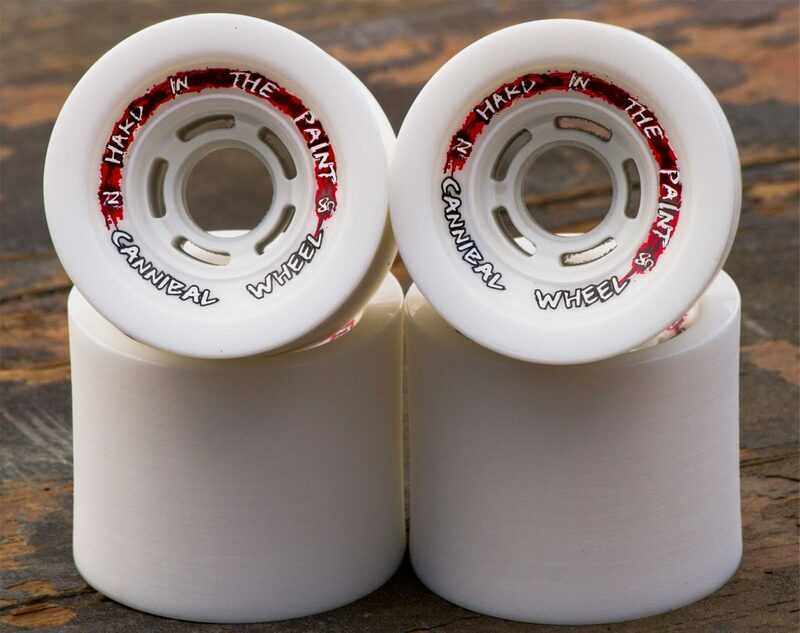 At the same time that the white 72mm Cannibal came out with a red core. 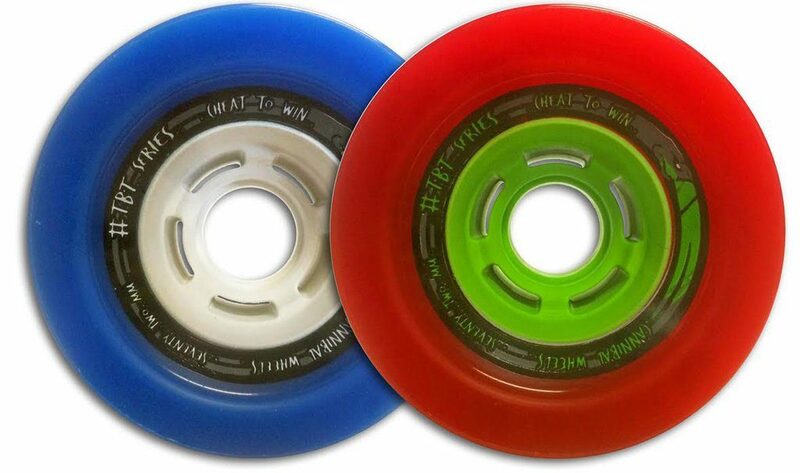 The red 80a Cannibal switched to a green core, and the blue 83a Cannibal switched to a white core. Not long after, all three wheels switched to a white urethane. This was the symbolic end of colored urethane for the Venom wheel lineup. Well sort-of… More on the TBT Cannibal later. The Cannibal was already a very performant wheel but Venom was still looking for improvements in speed and grip. New sizes and durometers were on the way. In the Spring of 2012 the 76mm Cannibal was born. 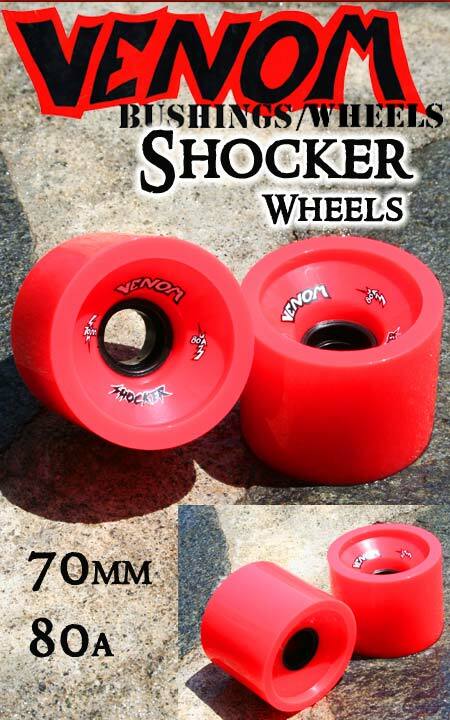 76mm x 60mm, available in 78a, 80a, and 83a. Just after the 76mm Cannibal shape became available, Venom introduced the 76a formula, in both the 72mm and 76mm shapes. Allowing for more grip, and more slow down power in the same wheel. Fall 2012, the 83a blue core formula was discontinued. In the Summer of 2013, the first iterations of the Magnum Cannibal were being prototyped. 74 tall x 66mm wide, they featured a unique urethane formula that eventually ended up in the 70mm Balls and 65mm Thug Passion free ride wheels. Only one run of the prototypes were made (approximately 20 sets) and the project was shelved until 2017. And then the Cobra Core came – a new era for Venom and wheels in general. From the Winter of 2014 to the Spring of 2015, they worked to make it perfect. 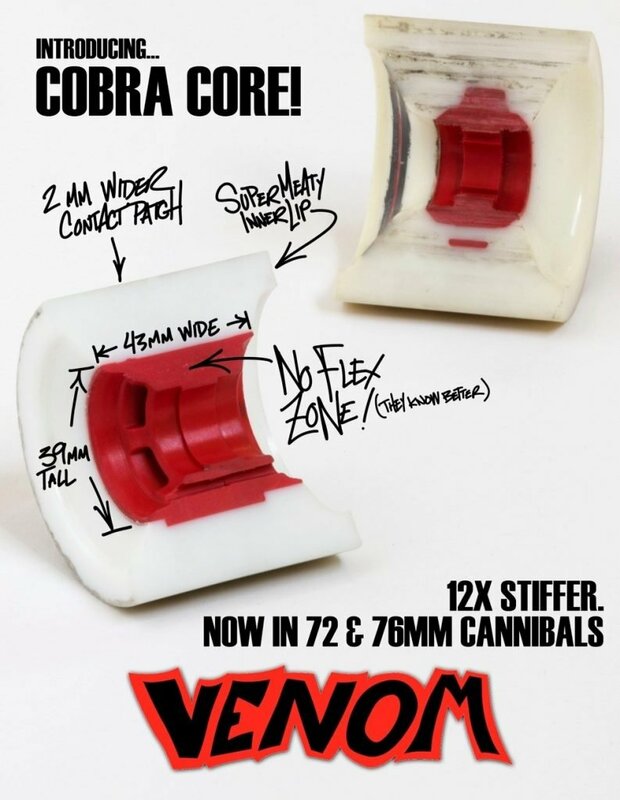 The Cobra Core was an updated, wider and more supportive core designed by Venom themselves to match the geometry of Cannibals. New fiberglass reinforcement provided an increase in stiffness and they made it significantly larger to better support the mass of the wheel. 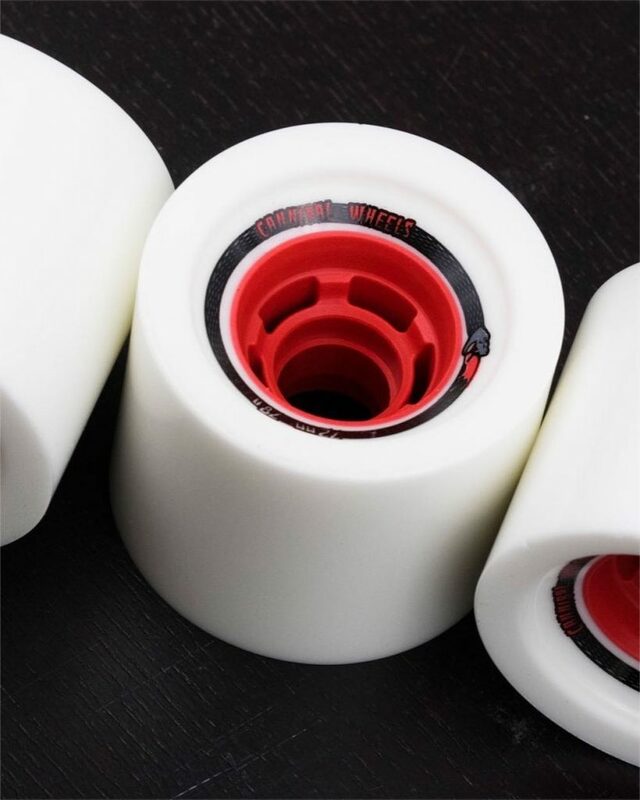 In Fall of 2015, Cobra Core Cannibals become available in both 72mm and 76mm. These wheels had more grip and brake than any wheel in the Venom lineup at the time – or any wheel of the time for that matter. With a new core revamp, the Venom Cobra Core Cannibal was born. 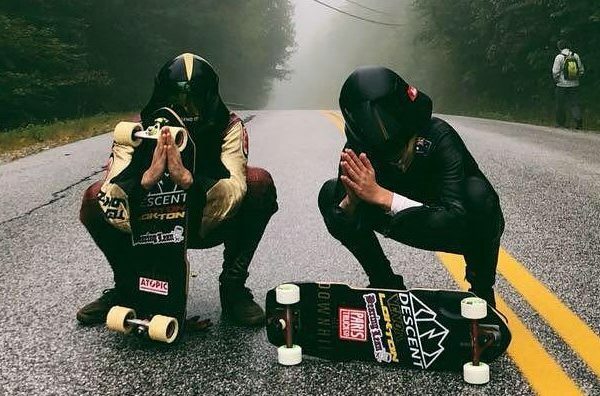 72mm tall with a 60mm contact patch, the Cobra Core Cannibal is the Venom team’s favorite whether they’re bombing hills or turning it up in a race. It combines grip, predictability and stopping power, giving the rider a sublime riding experience. 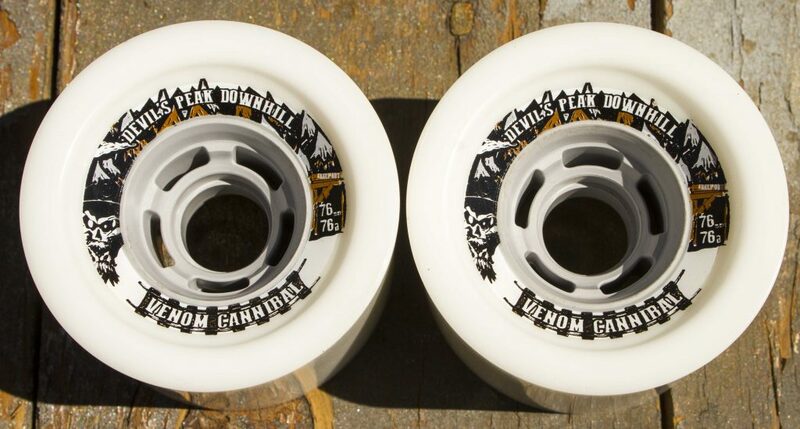 In the Spring of 2016, Venom paid homage to the original Cannibals with the release of the TBT (Throwback ‘Thane) Edition Cannibals. These took the updated Cannibal Core, urethane formula and shape and combined it with the original Red and Blue colorways and graphics. They were hella durable and lots of fun. 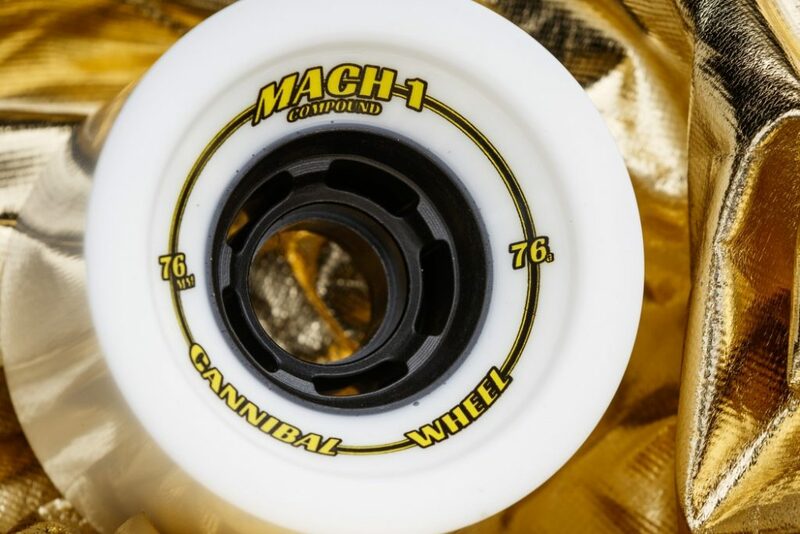 Later that year (2016) came the Mach 1 Cannibal; made of even higher-rebound urethane to be the fastest urethane on the market. 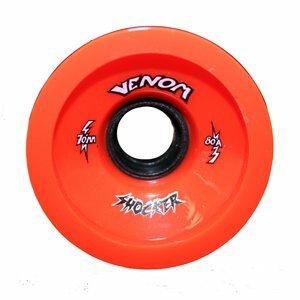 The wheel was prototyped for over a year until the Venom team was satisfied with it’s rip and grip. 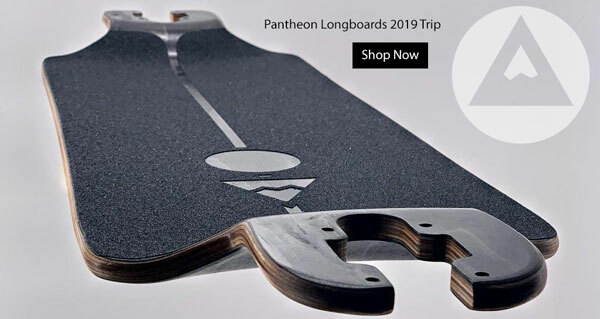 It measures 76mm tall with a 60mm contact patch and features a single durometer: 76a. Venom owner Zak Maytum used the wheel to take home Gold at the Maryhill Festival of Speed in 2015 and the following year he set the track speed record. In 2016, Erik Lundberg used the Mach 1 Cannibal to set the world speed record. It’s still the darling wheel of many riders for its drift, grip and speed properties! 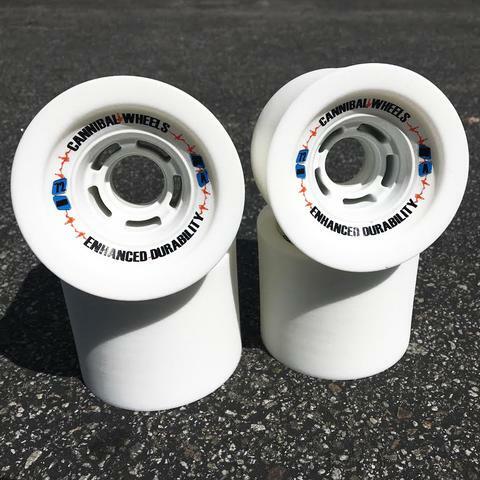 These are the same shape as the 76mm Cannibal, in the fastest urethane formula we could figure out how to make. 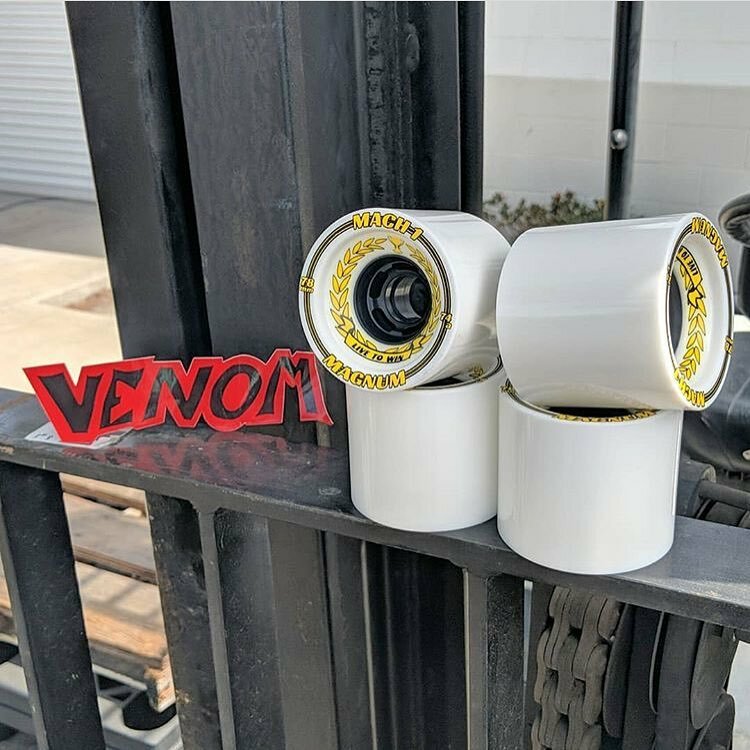 In December of 2016, Venom released the Hard in the Paint urethane formula and made some 72mm Cannibals available in the same. 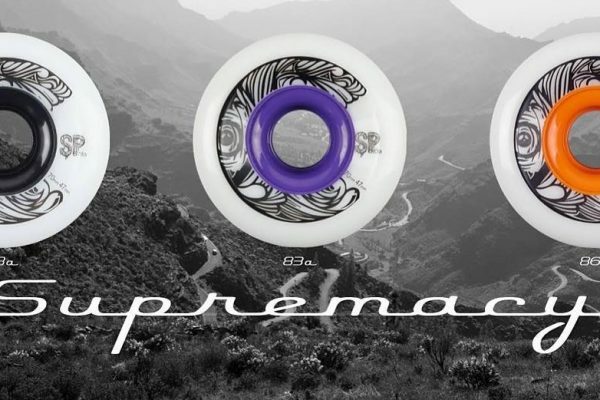 These were ideal freeride wheels – slick, fun and left lines of ‘thane for days. 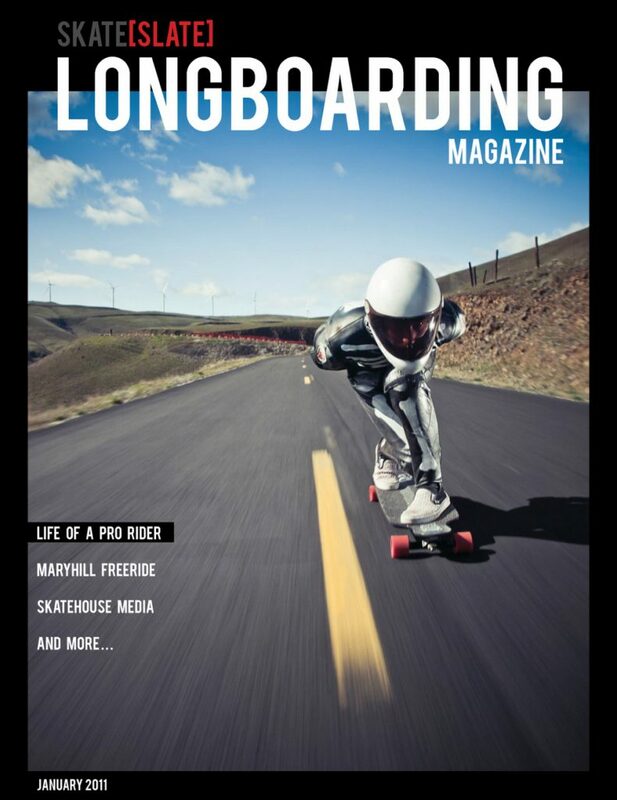 What made them a little unusual for their free ride shape was the unusually slick urethane formula. If you want to stay sideways, these are your wheels. Check out our coverage of them here: Venom Hard in the Paint Cannibal. March of 2017 saw the release of a limited edition Cannibal poured in the ED formula – Enhanced Durability. These 72mm Cannibals were a happy mistake. These wheels were great for practicing thanks to their extended durability. Our coverage here: Venom ED Cannibal. These were a mistake pour, that ended up being CRAZY durable, and reasonably slick and fun. They were sold on mega discount, but are kind of a cool thing to have as only a handful of sets were ever available. 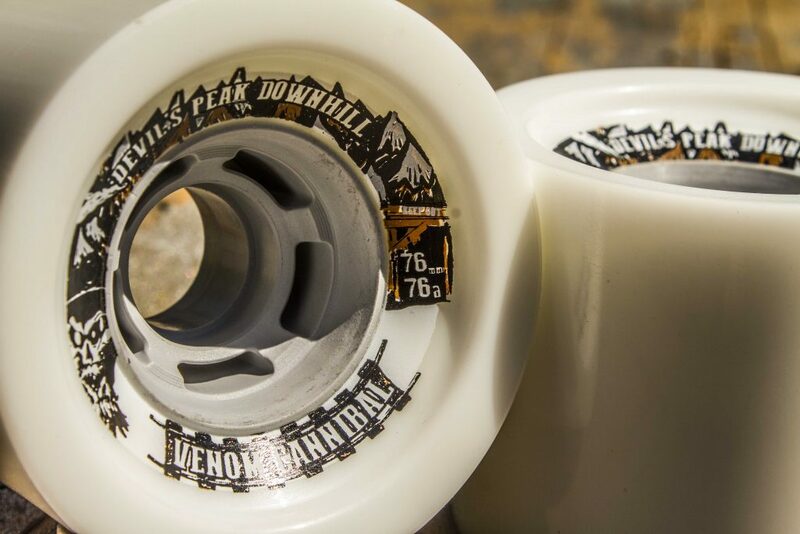 Venom started hosting the Devil’s Peak Downhill race in 2017 and at the same time, the special edition grey-core 76mm 76a Cannibal’s were made available with registration for the event. The grey-core, special edition Devil’s Peak Downhill Cannibal became available with registration when signing up to race at Devil’s Peak Downhill in Colorado August of 2017. These had the Skull logo graphic, and a grey core. 76mm 76a in traditional Cannibal ‘thane. Only 125x sets ever made. Back in April of 2017, as a supposed April fools joke, Venom released a teaser of a “Magnum” wheel – mythically wide, mythically tall, and totally rad. Most people just brushed it off as a joke and went on with their lives. But it wasn’t! In September 2017, the 78mm x 70mm Mach 1 ‘thane Magnum Cannibal was released in 74a and 76a. The most recent iteration of the Cobra Core is the Magnum Mach 1 Cannibal – an extremely large, thick (thicc), heavy version of the Cobra Core Cannibal with the extra-reboundey Mach 1 urethane. It’s much faster, much grippier, and meant for tuck-it-and-huck-it kinds of runs. 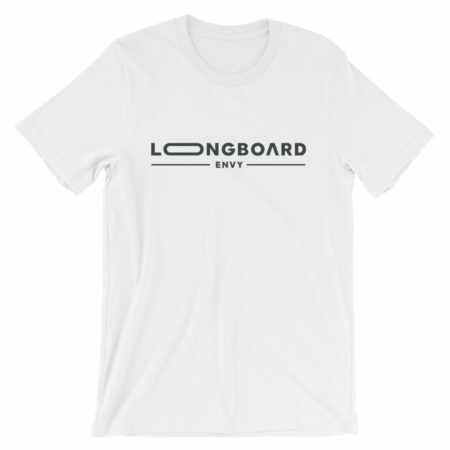 The kind where you’re trying to send it as fast as you can in a straight line to the bottom, like at Maryhill or Killington. The Cobra Core supports the thick mass of urethane on the wheel, making for predictable drifts and reliable grip characteristics. When the the Magnums were first made available, they received a lot of attention, selling out in the first few days. Fortunately, these legendary wheels have been around for a bit at this point. 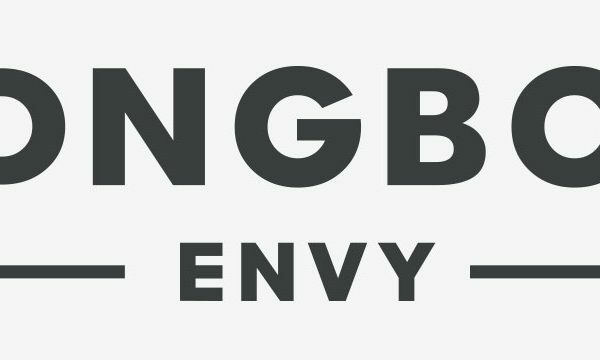 You can find them at most major online retailers, including your local shop. 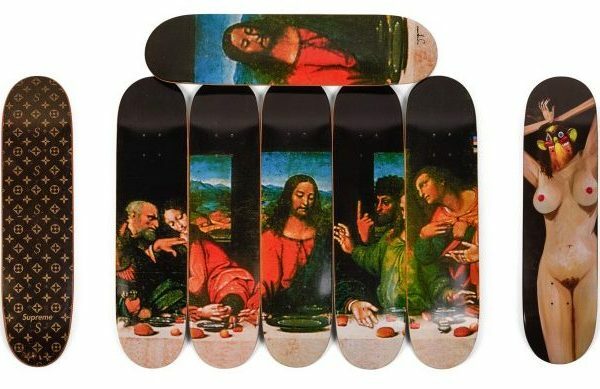 If you’re keen to pick up a set, hit the link up top to get them ASAP! 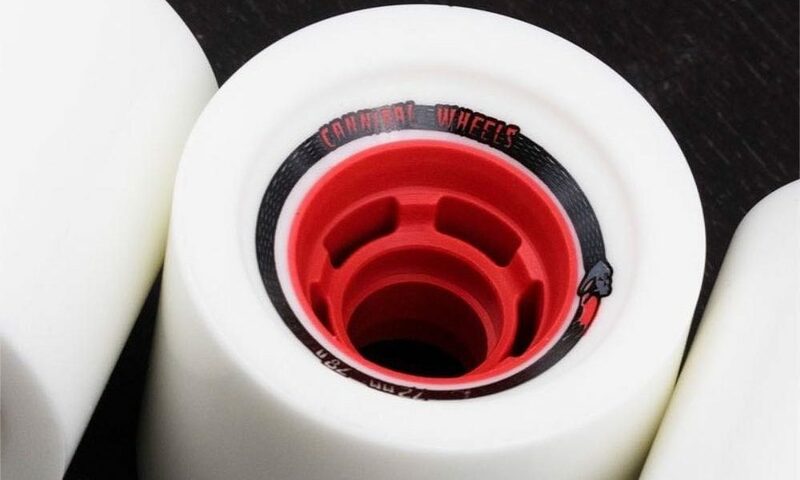 The Cannibals and all of its iterations are one of the most well-rounded wheels out there. It’s not for lack of an investment of time. Venom has been at this a while and their Cannibal is a staple in the downhill community. It’s come a long way and Venom and their team are only making it better. 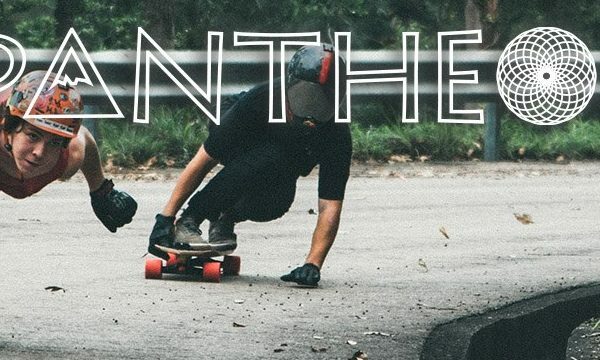 Hit the link below to visit Venom’s store and take a look at what their up to lately.